Create the perfect BBQ experience with the Royal fire pit, expertly designed to provide a quick and easy cooking solution for your camping trip or outdoor dining experience. 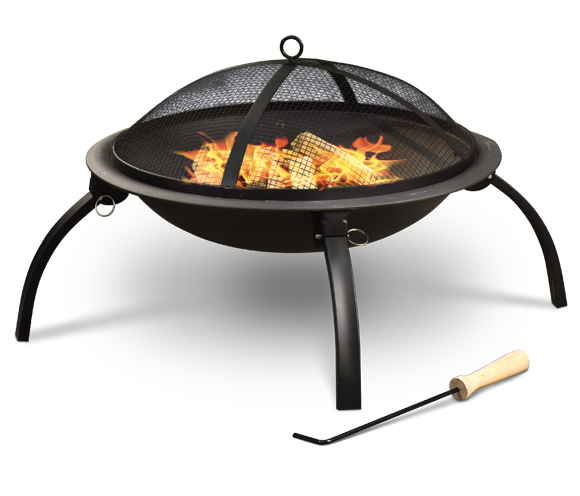 With its steel fire bowl and mesh safety cover, the fire pit will cook any food safely and quickly, and will also heat the surrounding area to keep you all warm. This fire pit includes folding legs for easy storage and transportation, and is also supplied with a one piece poker to ensure that all food can be cooked thoroughly.